The next thing we should be aware of when consuming packaged food is sodium. Again, sodium is an important mineral in our body. Our bodies use sodium to regulate blood pressure and blood volume. Sodium is also critical for the functioning of nerves and muscles. Consuming too much sodium will lead to high blood pressure. With high blood pressure, your risk of getting heart diseases and stroke multiply. I think most people know this. However, how much is too much? I bet most people have no clue. Why do you get all your sodium from? Sodium naturally present in food. It is in the meat, vegetables, fruits, eggs, etc. However, most of the sodium that we consume actually comes from what we add into the natural foods to make them taste better and last longer – salt, sauces, MSG, additives, and preservatives! In fact, if you often eat out, then fast food and packaged food can be your primary source of sodium intake. So if you can limit the sodium intake from the packaged and processed food that you take, you are half way through in controlling your sodium intake. To make reading label simple, I am going to stick with 2000mg as the upper limit. Since a healthy adult should consume about 2000 kcal of energy per day, the ratio of sodium to Calories should be 1 to 1. With this guideline, we are ready to read some labels. But, before that, let’s do some shopping. 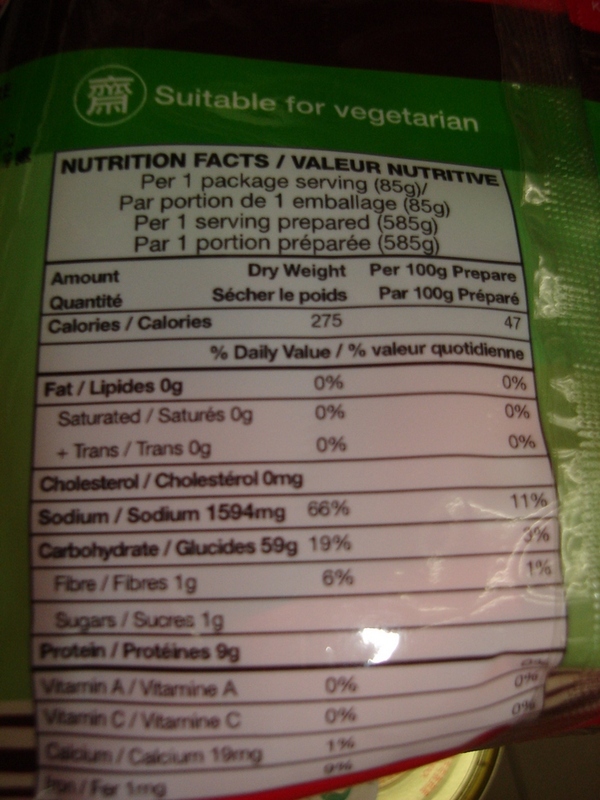 Assuming that you have not read this blog, and you have not learned about reading food label. You are trying to make yourself a quick lunch. You walk down to the nearest supermarket near your flat. 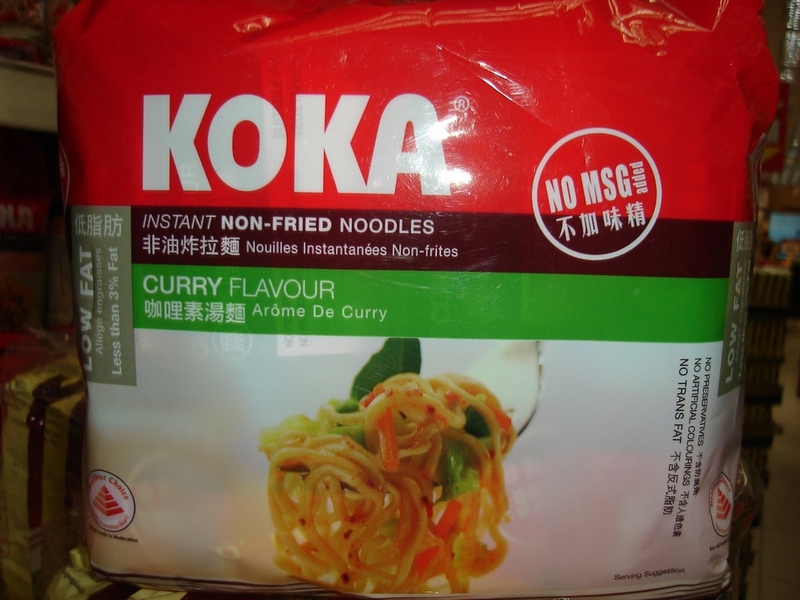 “No MSG added”, “NON-FRIED”, “Low Fat”, “NO Preservatives”, “No Artificial Colourings”…. You like what you read, so you pick up this package of instant noodles and put into your shopping basket. Then you want to buy a healthier loaf of bread. They say wholemeal bread is better than white bread. This is ‘whitemeal’ bread. Close enough. So, you pick up this one and put in your shopping basket. Further down the aisle, you saw your favorite brand of sardines. They now come with a “Light” version with “Reduced Salt”, with a “healthier choice” sign on it. 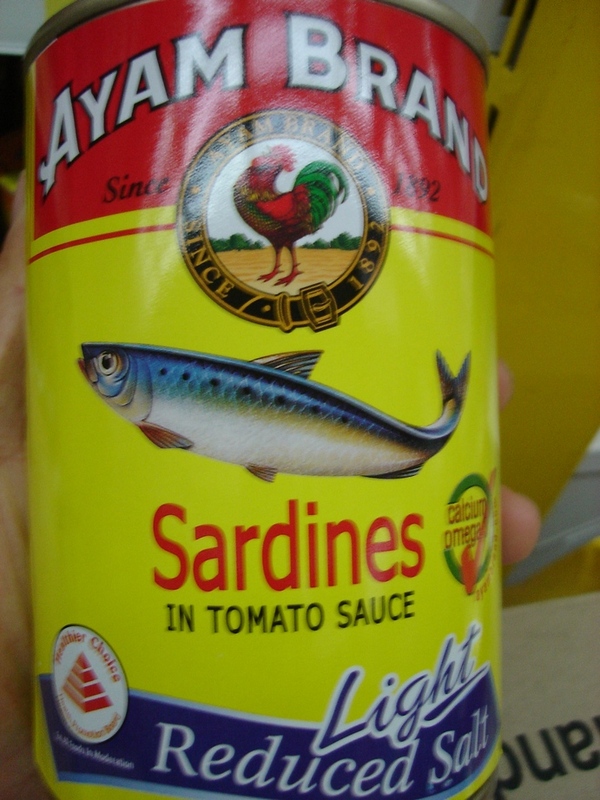 Being more health conscious now, you will go for this healthier can of sardines. Now you have all your packaged food for a quick lunch. You went back to your flat and make yourselves a bowl of instant noodles, and a sandwich with 2 slices of bread with half a can of sardines. This is a tasty quick lunch, but is it really healthier? Of course not! Remember Rule #1? So, don’t believe whatever that is printed on the front of the packaging. You must turn around and read the label. Let’s take a look at the instant noodles. You look at the fat and it is zero (0) g. Good. No fat. Next, read the sodium: 1594mg !!! What is the amount of energy? 275 kcal! The sodium in mg is almost 6X more then the energy in kcal. The sodium content in one single serving of this package of instant noodles is already 79.7% of the upper limit of sodium that you should consume a day, and it only gives you 275 kcal of energy! So, you are definitely right that one bowl of instant noodles will not be enough for your lunch. How about the bread? 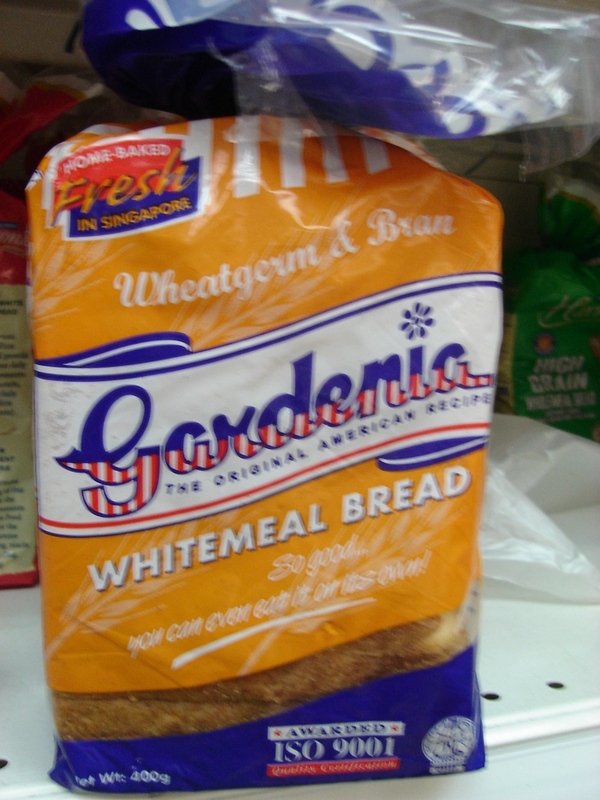 2 slices of the whitemeal bread will give you 150 kcal of energy and 251.9mg sodium! 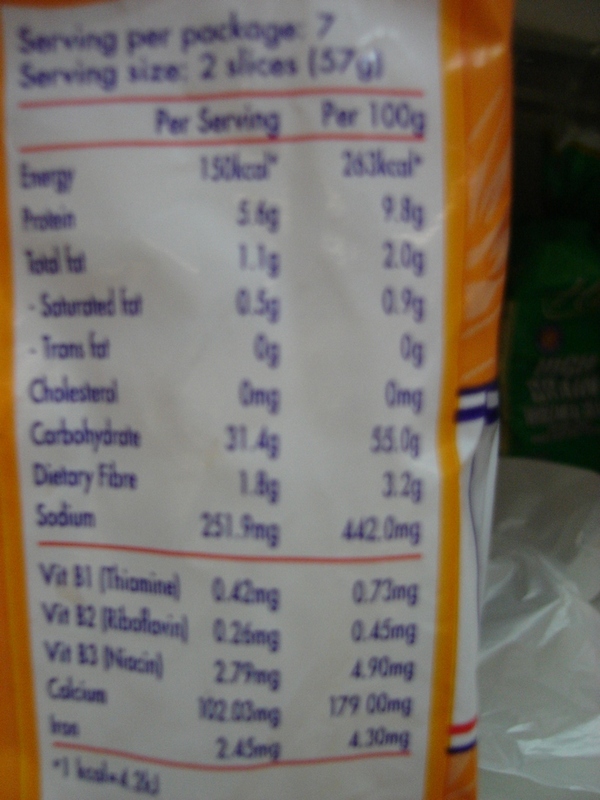 So sodium in mg is 1.68X more then the energy in kcal. Not something that I will pick in my shopping basket as well. Finally, let’s look at the “Reduced Salt” sardines. 1 serving of 70g gives 88kcal and 148mg of sodium. The sodium to Calories ratio is also 1.68X. But wait a minute, this small can of sardines supposed to make 6 servings! You just ate half a can for a sandwich! That gives you 264kcal of energy and 444mg sodium! In a single lunch consists of all packaged food, which gives you only about 1/3 of your daily energy needs, you have consumed 2289.9 mg of sodium! Already way over the 2000mg recommended upper limit! 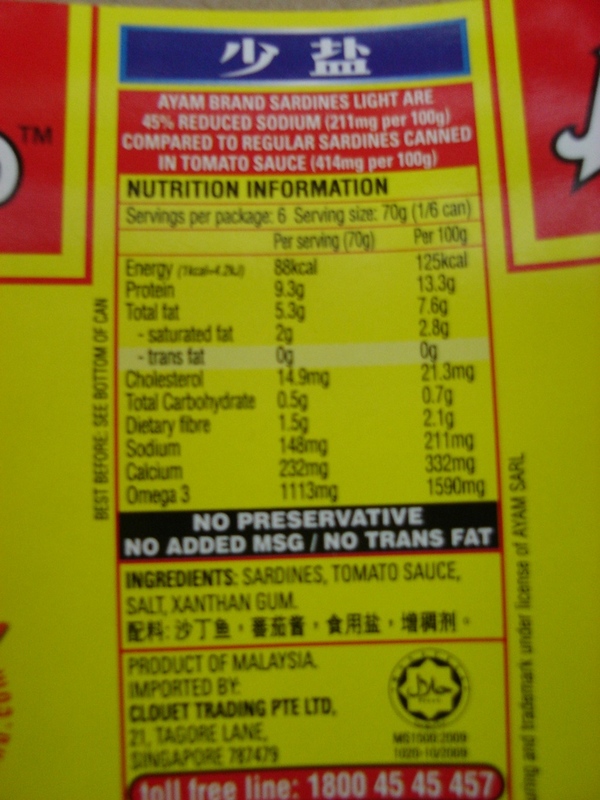 This example clearly shows that it is very easy to consume too much sodium from packaged food if you don’t read the back of the label. Follow me on my next post on Step 3: Check the Ingredient List for Sugars, Refined Carbohydrates, and Chemical Additives.